Having a good word processor is very important for those who are used to writing. In this way it is possible to have the best performance, not to mention the use of different styles and resources to add value to the text. Markdown is a language of light marking that is used by different word processors because it is an easy way to write and that in turn allows easy reading. It allows you to format documentswithout the need for complex text editors. It is used more and more frequently. There are people who are still tied to plain text editors, something that is very strange when you have all these tools for Linux. When you write in Markdown, you can use symbols such as * (asterisk) or # (sistenido) to add structure to documents and emphasize certain parts of the text. You can enter links, notes, blocks with code, lists, tables, mathematical formulas and more. This language was created by John Gruber , and promises to banish HTML, which has proven its efficiency, but unlike the latter, the Markdown is much simpler and in turn clearer, which allows both writers and programmers to be able to work with texts without too much difficulty. The great thing about this new marking language is the fact that in just a couple of hours you can learn the different properties and techniques necessary to write texts. In addition, we must also mention the fact that we can convert any text written with Markdown to HTML, which will allow us to use these texts from different tools that use HTML. 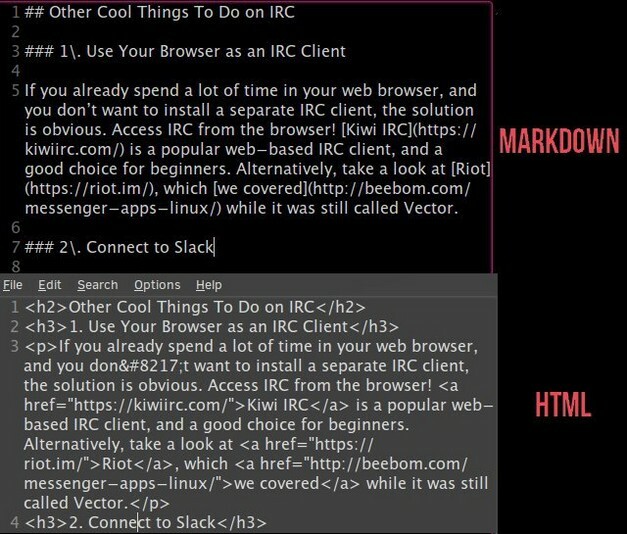 If you’ve ever written anything on Reddit , you’ve already used Markdown. You can also use it to format your posts in WordPress Tumbrl, Squarespace and a lot of blogging platforms. Many developers also use Markdown to create the documentation for their projects and, if you notice, it is also used in many forums. Here you have a quick guide with the most used codes . 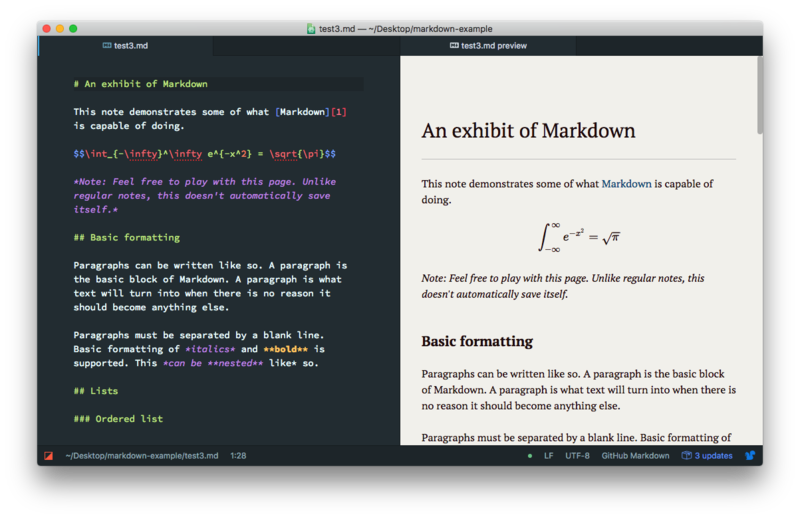 The simple and portable nature of Markdown allows you to modify your files in any text editor. However, to see the actual format or change it, you will need a Markdown editor that can interpret the syntax of the language . In other words, the application will translate the format instructions into a full text with its real format . 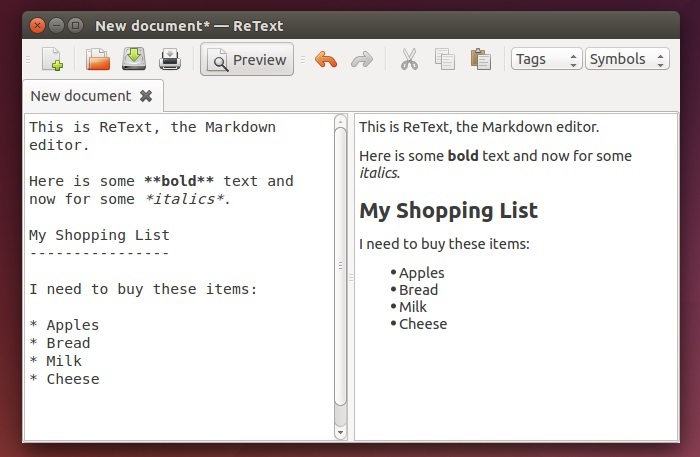 We are going to see some of the best editors of Markdown for Linux with which you can create this type of documents. 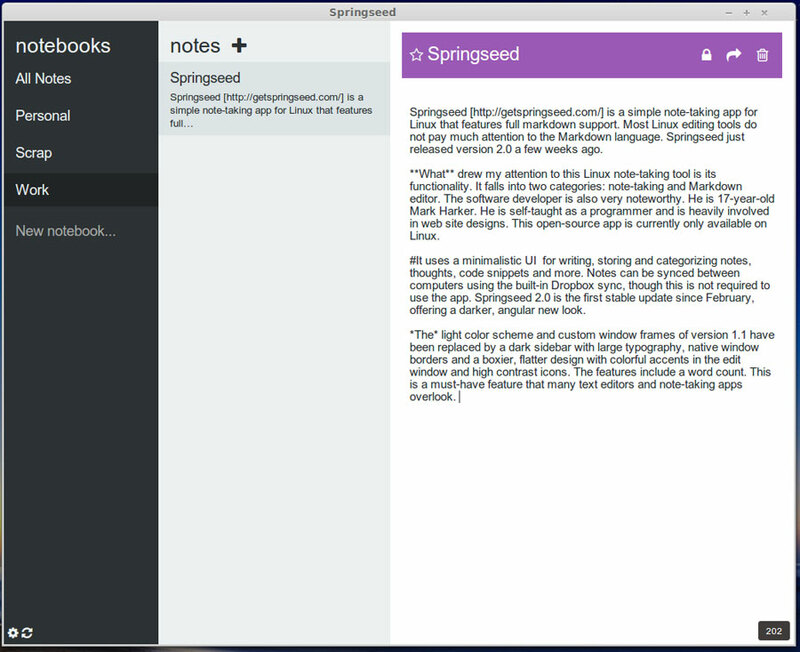 If you are looking for a Markdown editor for Linux that is easy to use and with a clear interface, we recommend Springseed , an editor that will allow us to add notes with the help of different predefined categories that will help us streamline our work. With the help of an interactive pop-up menu we can use different styles to write our texts, such as titles, bold and other styles that have particular codes, so it is another way to get write faster with our texts encoded in MarkDown . 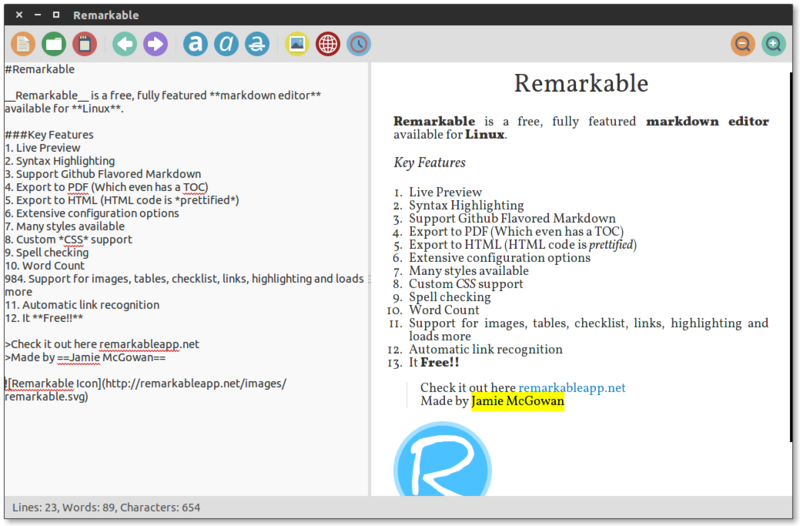 Remarkable is another text editor for Linux that offers compatibility with the MarkDown language. Besides allowing us to easily write texts from a simple editor, with automatic recognition of Markdown language parameters, it also offers us additional tools, such as the preview, which is a great help to preview the written text, to know if it is well written before publishing it. Through this tool we can also export our documents to other formats such as HTML or even PDF , which makes it extremely interesting. It is an editor that also allows us to use shortcuts on the keyboard, and gives us the ability to customize the interface of this utility to better use each of the tools we need more frequently. 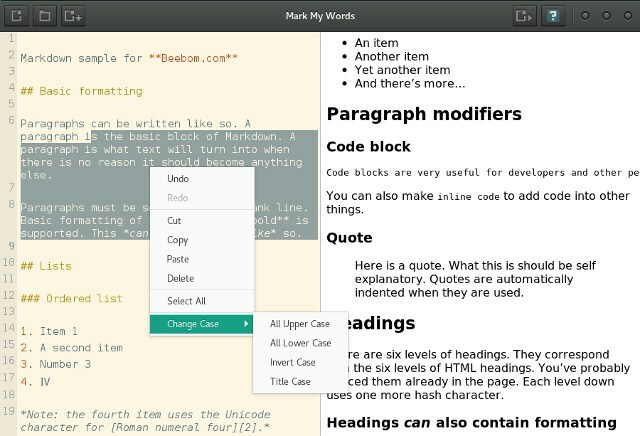 Another word processor recommended for writing Markdown is ReText , since it is a very easy-to-use Linux application, which has a very clear and customizable interface. Among the outstanding features of this tool is the possibility of inserting mathematical formulas with great ease and in turn the fact of being able to use several colors to be able to differentiate the parameters and guide the editor in the text. With the possibility of exporting the texts in different formats, ReText also stands out for having a very interesting interface, which is divided into two screens, where the first one is used to write our texts, and the second one to preview instantaneously our writings, which is particularly helpful for editors who are just starting out in this language. 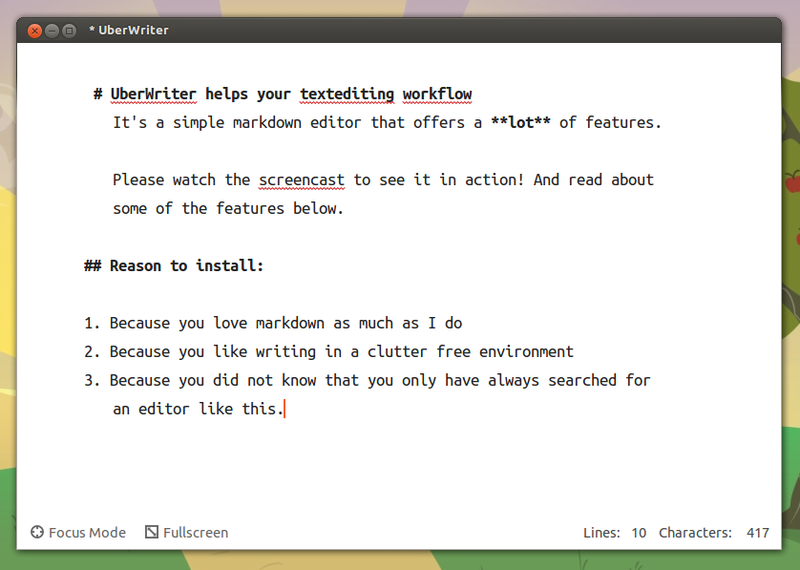 UberWriter is one of the editors of Markdown most recommended for those who tend to suffer different distractions within your computer with Linux, since it is a full screen editor that allows the user to write clean and without distractions, since it tries to place the minimum tools in view to allow the user to concentrate on what he writes. Although it is not an application that offers shortcuts on the keyboard, something very useful for those who are just starting in this language, we recommend using it for its simplicity and its clear interface, which will allow using the split screen function to allow us to see how it will look our work on one screen while on the other screen we write the text. UberWriter is a very popular editor, which is available for Linux , as well as for other operating systems, it allows you to export documents to different formats such as HTML , RTF and even PDF . The modern text editor Atom also offers compatibility with Markdown language , so we can make use of this powerful tool to write our texts and enjoy the different functions offered by this utility widely used by programmers from Linux. 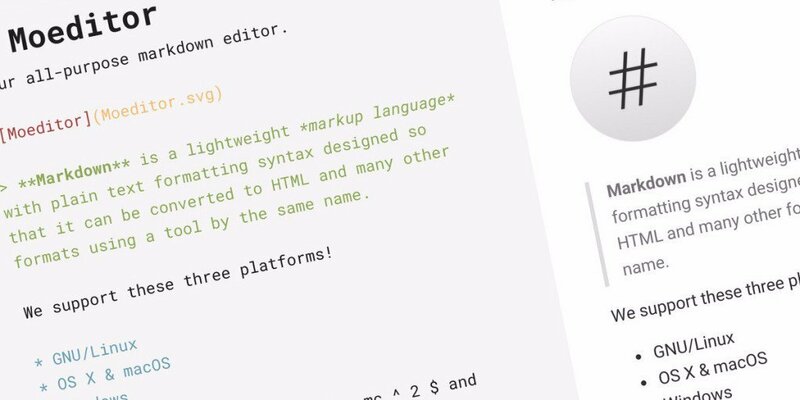 The autocomplete functionality will facilitate the task of writing codes in Markdown to any editor through Atom , a point in favor of these tools. Another function to highlight is the search and replace texts, which is a great help for those who seek to edit texts already written with ease, something that very few word processors offer. Although one of the disadvantages of using Atom is the fact that it is a very complex application, difficult to use for those who are just starting out in this kind of language or for those who are in different activities from the programmers. It is also worth mentioning the defect of being an extremely heavy tool, which can work slowly in certain computers with low characteristics. Uncolored is a text editor available for 64-bit systems , which stands out for having an immense number of keyboard shortcuts, which can be used to put different styles to the text, such as italics, bold, links, centering text, among other functions ideal for any writer. With the help of this tool we will not have to take Markdown language too much into account, since the editor does everything for us, which makes it easier for us to learn a new language. It is a simple editor, which allows us to write comfortably, which in turn includes tabs to organize the documents we are editing through Uncolored. We can also select the full screen mode, so that we can concentrate on the text and avoid paying attention to notifications and other distractions that we can find inside our Linux computer. 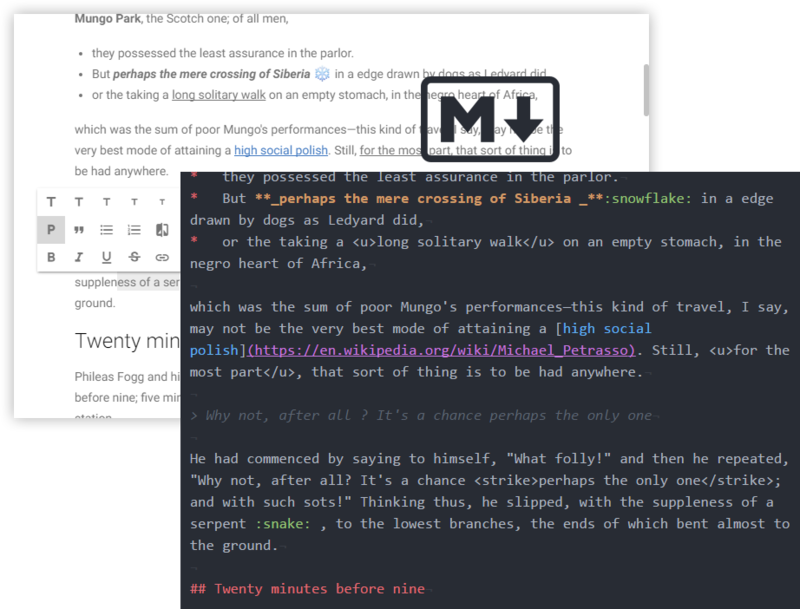 Moeditor is one of Markdown’s most prominent editors because of the possibility of highlighting the texts to differentiate the syntax. It is a very simple tool to use, which has compatibility of mathematical formulas, which is ideal for those who are used to writing texts accompanied by mathematical demonstrations or simply exercises to be solved. Moeditor also has the basic resources such as the possibility of previewing what is written, being able to change the font size, changing the line height, among other resources necessary to embellish the written text as a whole. If you need a text editor that allows you to modify its interface with themes of different styles, we recommend using Mark My Words , a Markdown editor that will allow us to write texts and obtain a live preview, which will also show us the images that we have loaded in the text. Through this tool we can export our texts in PDF and HTML format, select the type of typography to use and even enjoy a minimalist interface that will allow us to edit texts from a light application and with quick access to their resources. 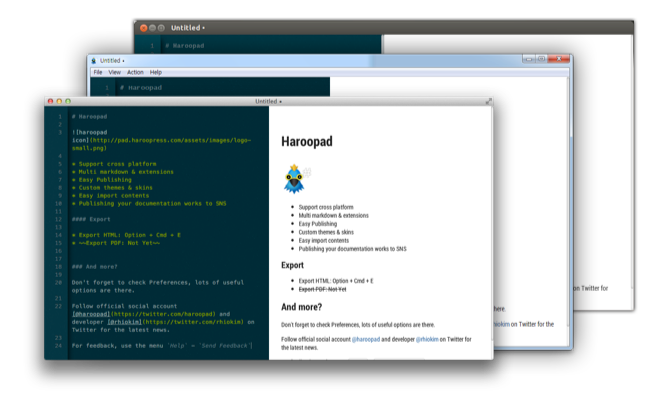 Haroopad is another of the Markdown editors most used by the large number of functions it has and in turn by being cross-platform, since it is available for Linux, as well as for Mac OS X and Windows. It stands out for allowing to import content with great ease, and in turn supports several formats to export documents written with Haroopad. For those interested in having completely customized applications in their computers with Linux, this tool has several themes of different styles that adapt to the tastes of each user. 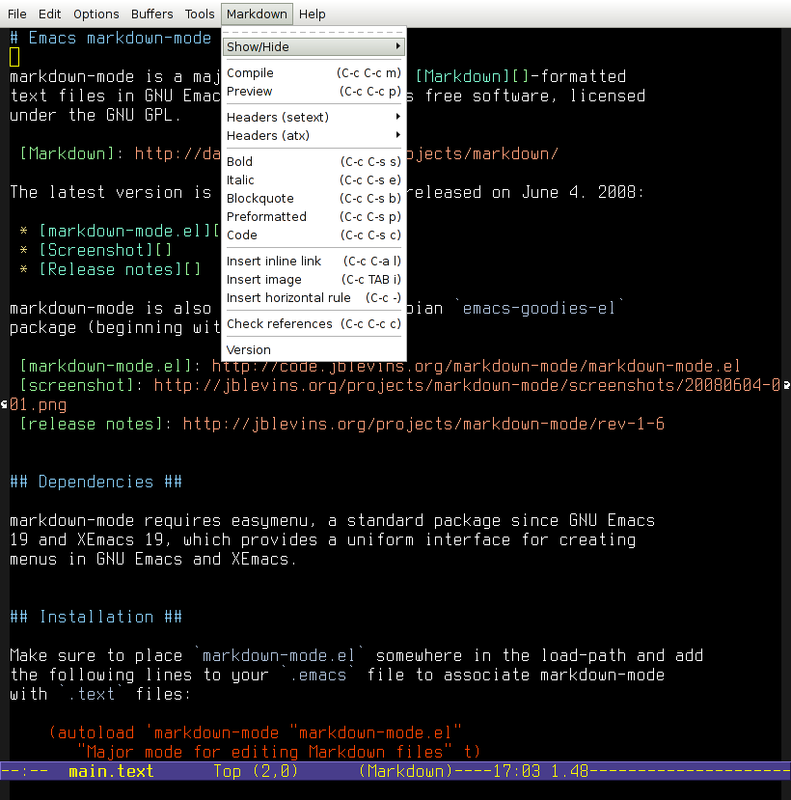 We recommend Emacs to those who are looking for a text editor compatible with Markdown in which it is possible to add add-ons or extensions that allow adding functions. It is a tool that has an easy to manipulate interface, which stands out for the recognition of syntax and the multiple parameters of Markdown through very prominent colors . We must also highlight the large number of tutorials and guides available for users of GNU Emacs to know in detail each of the scope of this tool.